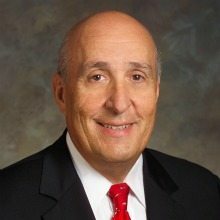 Renny Dipentima was formerly the deputy commissioner and chief information officer at the Social Security Administration and is also a past president and CEO of SRA International. “Circe” by Madeline Miller. This bestselling author takes Greek mythology and transforms it into a fictionalized, easy-to-read narrative that remains true to the content of the classic stories. “Grant” by Ron Chernow. This was an excellent book, and I learned a lot about that administration. I had been walking around with, if any point of view, certainly a different point of view than what I got after reading the book. I truly enjoyed that. “Leonardo da Vinci” by Walter Isaacson. I also am halfway finished reading this truly spectacular book. I’ve always liked Walter Isaacson’s writing, whether it was on Benjamin Franklin or Steve Jobs, and he does a really fantastic job on this one. “House of Spies” by Daniel Silva. I always like to read a thriller now and then, and this one is on my more recent list. I like the way Silva writes, and I enjoy his story lines.